this episode was good. i like the pirates and the whole iroh finding his lotus tile at the end was histarical lol. this is also an episode where we actually see sokka and zuko use their smarts to outwit each other. like on how zuko is able to use the scroll to manipulate the pirates but then sokka uses aang to manipulate them as well. 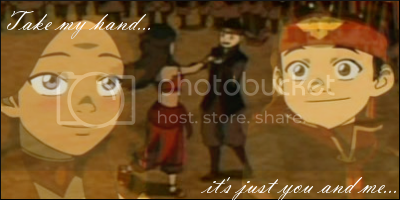 and katara stealing the scroll and aang trying to hagle....it was an episode where everyone was playing pirate! YAY!!!!!!!!!!!!!!!!!!! 957 shiny new DVD screenshots are now available for this episode in the DVD screenshot section of the mainsite. ^ diet otaku, please move those icons over to the Fan Media section. These threads are for episode discussion and your post contributes nothing to the actual conversation. Especially when the tile was in his sleeve! I absolutely love this episode! My brothers had to threaten me from watching it again (I watch it twice a day). I don't know why but I love it. I tend to be very odd like that. Does anyone feel like that about this episode and knows why? MaikoRULES, I know you have gotten more than one warning from Global Moderator SMBH about posting things that have substance. Your above post is nothing more than a quote with no opinions or additions to the episode discussion. Start thinking before you post. this episode has to be the funniest, out of the first season. Zutara. Became fanon. To fandom. I think Zuko was flirting to get info. I mean he's like "maybe I can restore something you lost....*seducitve smirk*" HAAAAAAWT! Katara really sucked at waterbending. Watching her in this episode and seeing her future progress is always fun for me when I watch this episode. I rather enjoy watching her sucking and them her crazy awesome bending in the future episodes That's why I lvoe this show. Progress, growth, funniness, and of course...PIRATES! I remember an old saying a long time ago saying, "If can't say nothing nice, don't say nothing at all." This is a great episode. The Zutara moment was awesome, I just love Zuko.... sigh. Uncle Iroh was so funny throughout the episode. Kataang is cute, but Zutara's got the FIRE! Not I'm not saying this was the best, but it was good. It had okay action in it although it could be better. But it combines comedy and action very well in this episode, the part were aang airbends the dust away and sees all the pirates and soldiers around him was funny. This is another thing about avatar that I like, It does a good job of combining different themes together. Well see the reason I like this episode is because of the way the comedy and action was combined, it was satisfying. Well I guess this could of been done a little better, but Most of this was fine. See and it is okay for this episode to be goofy for back then nothing was as deadly serious. Just my opinion, but I think this was okay concerning action. the action scenes were pretty decent. Yeah, nothing really became serious until the Solstice episodes where we learned that this story actually had a timeline. Yeah I kinda agree, but it was a way that we got to see more of the avatar world, and back then we didn't know much about it. I like this episode a lot, mainly because of the humour. Zuko's frustration at Uncle Iroh's shopping and Sokka's one liners are hilarious. 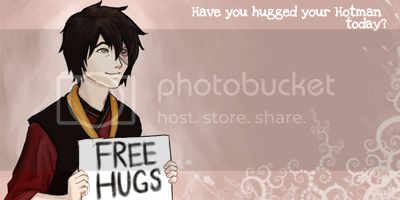 I agree that Zuko was a bit creepy with Katara "I'll save you from the pirates". And hearing Zuko laugh is just plain weird. Naughty Katara stole the scroll. She needs it worse than anyone else around there who might purchase it, though. Glad to see she showed frustration at Aang's easy mastery of the water bending moves. I don't want her to be too sweet. This was another good episode. Not often we see our characters do immoral things in a moral way, sort of. Or, maybe they're moral in an immoral way. Poor Aang, he's under so much pressure now that he knows he has a time limit in defeating the Fire Lord. Fear not, for Katara is there to the rescue! ... or not. Oh boy, seeing a total beginner doing something better than she can on something she's spent years on must've really hurt Katara's pride. Maybe it's just Aang's prior experience as a bender. That giant wave he did made Appa all clean, though. That bazaar they went shopping at was interesting. merchant: "Who's brave enough to look inside this bag?" Oh geez, is that guy actually gonna charge people to look inside a bag? That had me laughing for several minutes. I mean, just the idea behind charging people to look inside a bag by goading them by saying if they're brave enough just sounds so stupid and smart at the same time. I liked that part when they walk by the pirate shop. male pirate lady: Perhaps I could interest you in some exotic curios? Aang: Sure. What are curios? male pirate lady: (pause) I'm not entirely sure, but we got 'em! Always know your product before you sell it, although that's probably not easy if everything you sell is "high-risk traded." The pirates have a pretty nice shop. That monkey thing Katara was looking at was eerie. Or maybe, it was looking at her! Dun dun dun! Looked like something from Indiana Jones. I loved that haggling scene. One copper piece! Two copper pieces! Had me laughing for a while, too. Sokka spit in a guy's face. Such an awesome detail. Ooh, Katara stole their waterbending scroll! She's so bad! Oh well, nothing wrong with stealing from pirates, at least according to Katara. Does this show ever cease to quit making me laugh? Katara's water whip mishaps ruled. First, she whips herself right in the forehead. Then, she nails Momo on the backside. 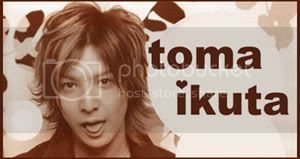 Oh yeah, Momo loves that, doesn't he? He loves being spanked! Katara yelling at Aang was so heartbreaking. Poor Aang. He was on the verge of crying. Some mother she turned out to be. That was great when everybody got captured. Iroh: Yeah, it kind of is. Iroh is the greatest character of all time. He can stop a fight at any time he wants, only to tell the pirate captain that his ship was stolen. When Zuko laughs at him and finds out that his own boat was stolen, that just screamed out "Karma." Aang: Sokka, can you make it go any faster? Sokka: I don't know how. This thing wasn't made by the Water Tribe. Oh sure, but he figured out how to fly a blimp in the finale really well for the first time. Well, that's about all I have to say about this episode. I loved every minute of it. I also learned an important lesson - stealing is wrong, unless it's from pirates. That laugh was terribly creepy. At that point in the show, the thought of Zuko laughing was pretty inconceivable...hence the weirdness.